An air conditioner not functioning properly can really cause some problems in your life. Our air conditioner repair technicians are here to help your central air conditioner keep its cool. 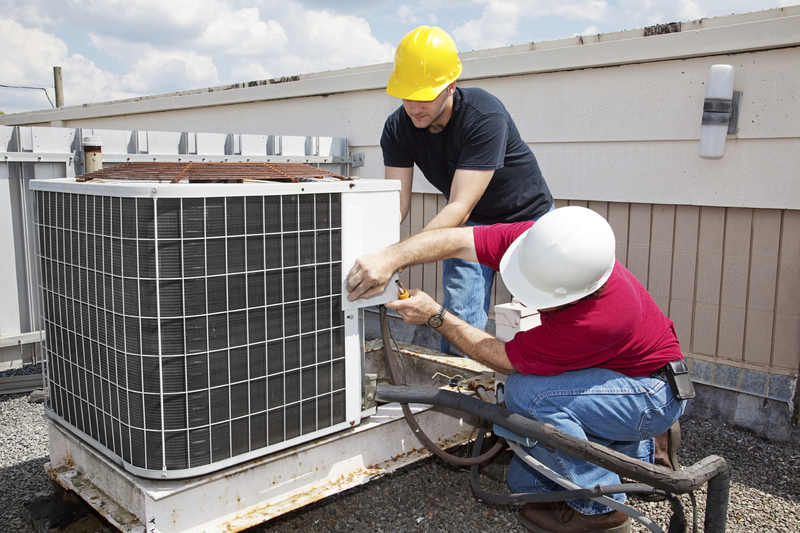 Our techs are familiar with all brands and models of central air conditioning units. Don’t see your brand listed? Don’t worry, we repair most brands. Give us a call to discuss your Air Conditioner repair. We have been repairing AC units in Redondo Beach, Hermosa Beach, Manhattan Beach & Palos Verdes for over 20 years. One possible reason that HVAC systems blow warm air is dirty filters. The system is producing cold air but it cannot flow through the duct work. Clean air filters protect your equipment and help it perform properly. HVAC systems work harder as the outside ambient temperatures approach triple digits and may not cool as effectively as you desire. You should also verify that the outside unit is running. If the outdoor unit is on, ensure that leaves and other debris are not obstructing the airflow. An air conditioner that blows warm air can be a sign of insufficient refrigerant. Only licensed air conditioning repair technicians can replenish HVAC coolant.